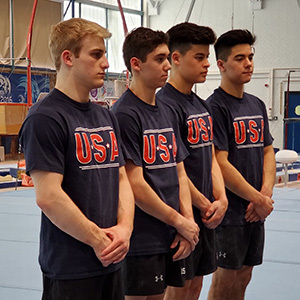 BERLIN, April 4, 2019 – Fuzzy Benas of Richmond, Texas/Enrich Gymnastics, J.R. Chou of Cypress, Texas/Cypress Academy of Gymnastics, Isaiah Drake of Van Nuys, Calif./Gymnastics Olympica, and Colt Walker of Cedar Park, Texas/AcroTex Gymnastics, will represent the United States at the 2019 International Junior Team Cup at Berlin’s Large Sports Hall of the Sportforum. Slated for April 5-6, athletes from 26 countries are competing in the competition that has three age categories. 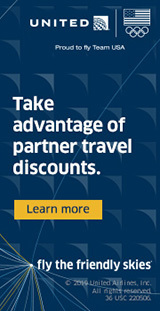 The two-day competition has the all-around competition, which serves as the event finals qualifications, on April 5, with three subdivisions beginning at 9 a.m. Berlin time. The USA will compete in the third subdivision, which begins at 5 p.m. local time. The event finals are set for April 6 at 2 p.m. Berlin time. Berlin is six hours ahead of U.S. eastern time. Admission is free. Live scoring and more information are available on the official website.